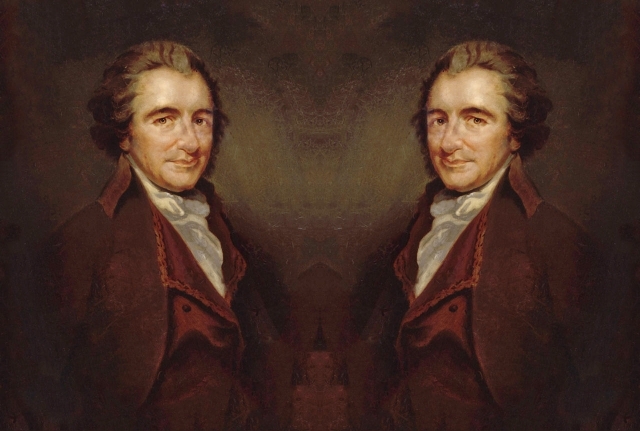 In this set of podcasts Emeritus Professor W. A. Speck of the University of Leeds looks at the life and ideas of Thomas Paine. 1. Who was Thomas Paine? What was his background? 2. Politicisation and arrival in America. 3. The Publication of 'Common Sense' - the case against monarchy. 4. Who read 'Common Sense'? What was its significance? 5. Paine clearly articulates the case for independence. 6. How does 'Common Sense' affect his career? The American Crisis. 7. The end of the War of Independence. 8. Edmund Burke vs. Paine and 'Rights of Man'. Aristocracy vs. Representative Government. 9. Paine & Mary Wollstonecraft. Parliamentary Compromise or Representative Revolution? 10. Constitutional Sovereignty: An End to War and the beginning of the Welfare State. 11. Paine vs. The British Government. Paine is elected to the French National Convention. 12. The Rise of Robespierre - Paine is imprisoned. 13. Paine publishes 'The Age of Reason'. An attack on revealed religion. 14. Alcohol, crisis and a gift for alienating people. 15. The Publication of 'Agrarian Justice'. The Case for a redistribution of wealth and human rights. 16. Paine continues to write till his death. 17. The elites on both side of the Atlantic disdain Paine and his desire to communicate to the working man. 18. Too radical for most of his contemporaries. 19. What was Paine's significance?